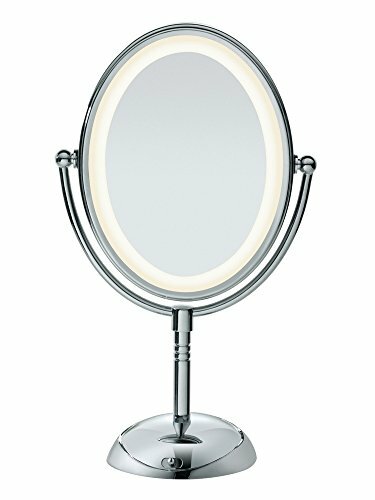 The reflections led lighted collection mirror has 2 magnification settings (1x and 7x) and bright led lighting. with the energy saving led bulbs, you consume 70% less energy than with regular bulbs. the be51led has a beautiful polished chrome finish and an elegant slim design. View More In Makeup Mirrors.